For all our resident Miss Marples and Hercule Poirots… have a snoop at our Crime Fiction events! I do hope you have been soaking up the sun and enjoying the glorious weather. Despite being stuck in the office all day, I did manage to sneak a little walk along our beautiful seafront this afternoon! Peaceful and sleepy, Felixstowe seems a far cry from the setting of any crime novel… nonetheless we are very proud of our finely selected crime fiction events at this year’s festival. 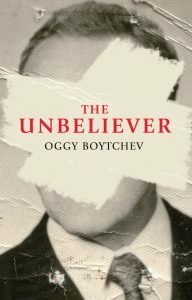 We are welcoming back festival old-timer Oggy Boytchev , here to chat about his new book ‘The Unbeliever’. Set with the backdrop of the Cold War, Oggy’s thrilling tome tells a true story of danger, loyalty and love in a very cold climate (apologies Nancy M…). The action doesn’t stop there – this year we are lucky enough to host some dynamic duos.Writers Iain Maitland and Humphrey Hawksley will be speaking at our ‘Two Very Different Thrillers’ event. 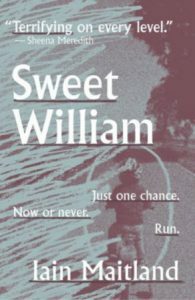 Iain’s novel ‘Sweet William’ is a family affair, detailing the story of a father desperate to reclaim his estranged son, no matter what the cost. By contrast, Humphrey imagines a world of near peril as one tiny event threatens the face of humanity. I don’t know about you, but I feel on the edge of my seat just thinking about these thrilling stories! If you are looking for a good crime series to get stuck into then why not come along to see Quentin Bates and Barbara Nadel in conversation with Rachel Sloane- Quentin will be chatting about his series of Icelandic crime novels and Barbara will be shedding light on her ‘Cetin Ikmen’ crime series, as well as her ‘Hakim and Arnold’ novels. Last but not least, this year we will also be joined by crime writer Mark Billingham. Mark first appeared in the limelight of the writing world in 2001 when he published his first bestseller ‘Sleepyhead’. Since then, he has created the hugely popular world of Detective Tom Thorne. The latest of this series, ‘The Killing Habit’, will be published in June 2018, coinciding with our festival!